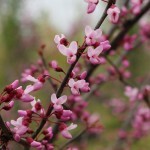 A spreading, rounded small tree with deep rose flowers. 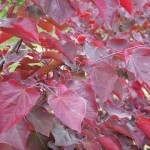 The leaves are a brilliant red-purple when they emerge in the spring, changing to bronze-green as the summer progresses. 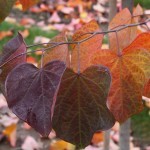 The fall color is bronze-purple. It needs full sun to part shade, and an average, well-drained soil. It will perform best with constant summer moisture. In hot summer areas, the tree will benefit from some shade to protect the color. Discovered in a nursery in Tennessee in the mid 1960's.